WeatherPRO® Technology was designed with the harsh North American climates in mind, allowing high airflow while providing excellent defense against weather infiltration. Canplas, manufacturer of Duraflo ventilation products, has over 50 years of plastics manufacturing experience. 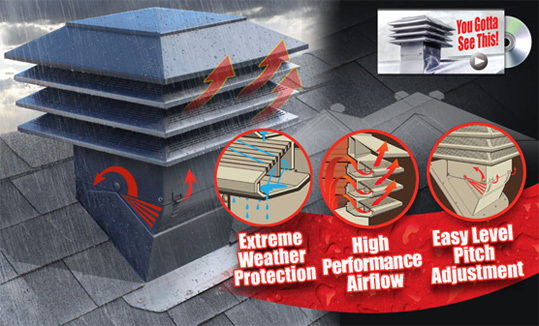 This expertise allows Duraflo to continue as the innovation leader in roof ventilation. Throughout our history Duraflo has listened to you, the customer, to create solutions to meet your building needs. In developing and maintaining an open dialogue with both our internal and external partners, we have created a wide variety of unique products second to none in the marketplace.